The parents of U.S. Olympics sensation Gabby Douglas are locked in a bitter feud over the gold medal-winning gymnast’s lucrative endorsement deals, it was claimed today. Insiders have told the National Enquirer that over the next few years, the 16-year-old stands to earn $10million in sponsorship and endorsements and over $100million during her lifetime. The revelation comes just a week after Mr Douglas hit out against criticism over his parenting abilities following an arrest for contributing to the delinquency of a child. The two families have been publicly warring since it was revealed that the gymnast did not buy her father or his family tickets to the events in London even though they travelled to see her. Just which brands Gabby will be endorsing is still unknown. 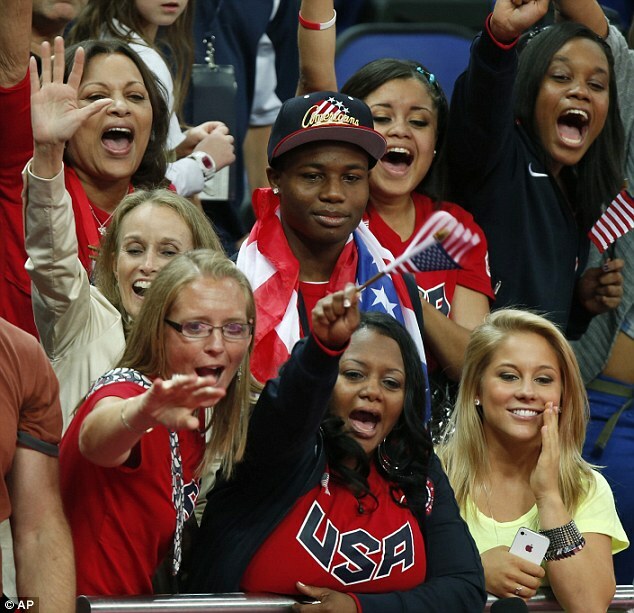 The photogenic teen has already signed with Kellogg’s and Proctor & Gamble but as ESPNpointed out, the fact that she was not approached for endorsement before winning two gold medals will only work to her advantage. 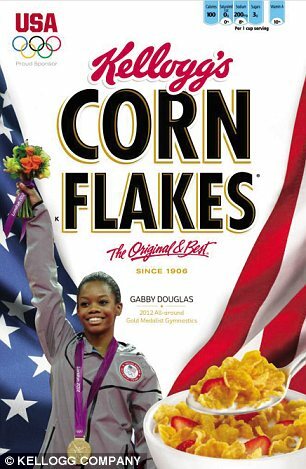 Aside from being featured on the Kellogg’s Cornflakes box celebrating her Olympic wins, cosmetics and pharmaceutical giant, Proctor & Gamble did a deal when she made the U.S. team. 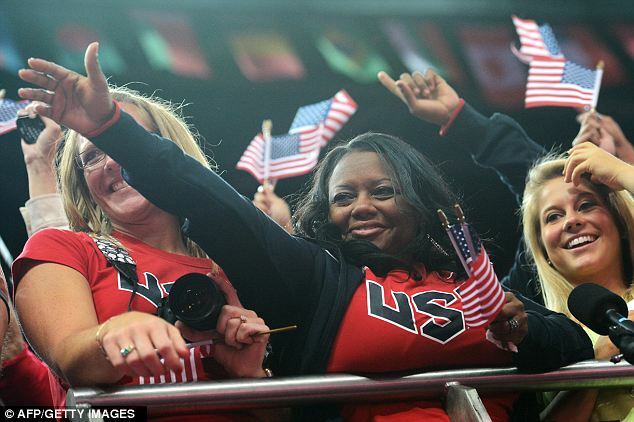 Beauty won’t be the only area of interest to brands vying for endorsement from the first African-American woman to win all-around gymnastics gold. On the verge of getting her driver’s licence, the excitable Olympian told USA Today: ‘I do want an Acura NSX. White, just like the roadster Iron Man drove in “The Avengers.” Ms Shade concurred that she is a likely candidate for car brand deal. McDonald’s may want a slice of the action too after Gabby admitted on Jay Leno recently that her celebrations included indulging in an Egg McMuffin. She also likes orange juice and peanut butter, her agent told ESPN, and loves technology and fashion. Her brother caught the media’s attention with his tweets about a reality show which though unsubstantiated, could also present an opportunity for Gabby. Having appeared on a host of chat shows, the young star is certainly enjoying her new found fame and isn’t shy in admitting her delight at the thought of the extra income. 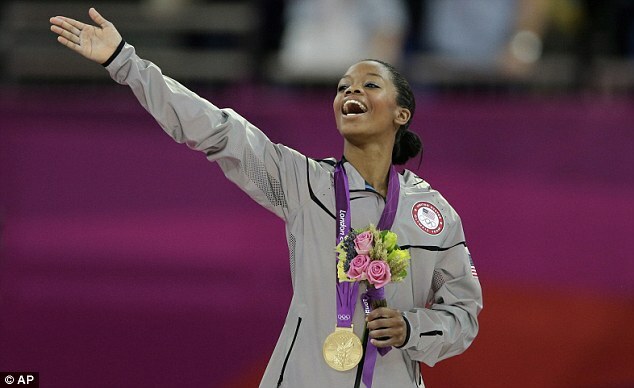 She told the Des Moines Register after winning her prized medals: ‘People were like, “Gabby’s going to smile all the way to the bank.” I remember reading that, and I’m like, “Oh, my God, I have to stop. I’m going to foam at the mouth with all this money”. And despite their issues, he was quick to gush about his little girl. His brother Lawrence rushed to his defense. 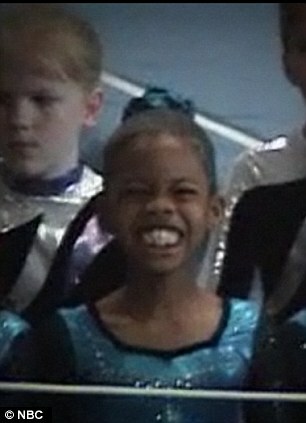 Last week, the MailOnline revealed that as Gabby Douglas was training in Iowa for her future Olympic victory in London, charges against her father indicated that he had either neglected or abused a minor, the details of which and identity of whom is unknown. 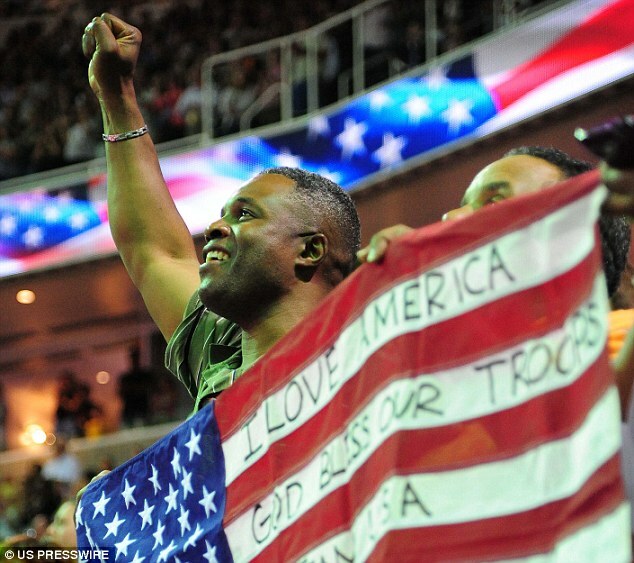 Mr Douglas, an Air National Guardsman, was arrested on March 8 of this year and after pleading no contest on May 9, filed a one year deferment until May 13, 2013. Gabby has spoken out about her father at length and has told reporters how he abandoned her mother and her three siblings at an early age, leaving the family to struggle financially for years. 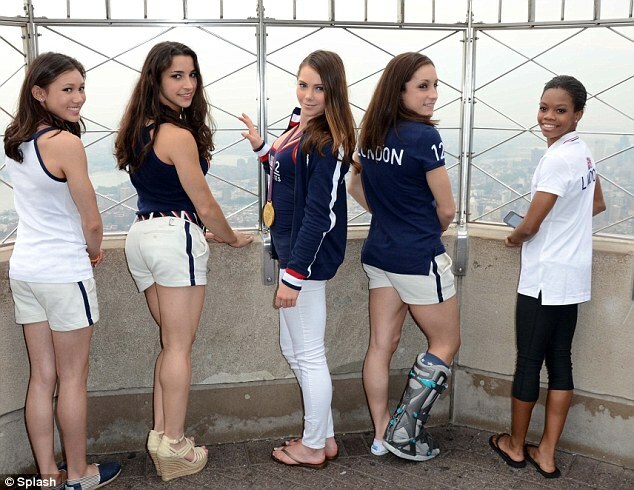 The tough situation often got the gymnast so down that she considered quitting her Olympics dream, she revealed. 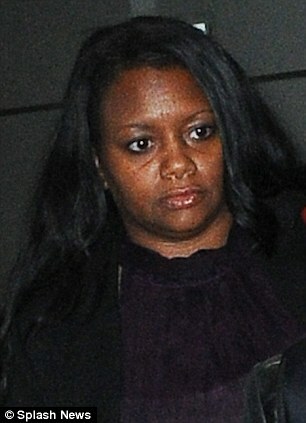 In fact, her mother, Ms Hawkins, filed for bankruptcy earlier this year, according to documents seen by TMZ. The documents show she has debt totalling $79,754.14. ‘It was really hard for us growing up – my dad had left us, so he wasn’t really in the picture anymore,’ she told the New York Post about her father who was first deployed when she was just nine years old. 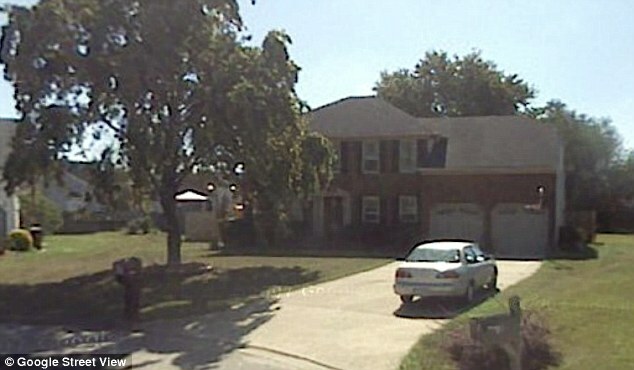 In the divorce filings, submitted by Ms Hawkins in 2009, the couple resolved an agreement for the children’s college room, board and tuition, but Mr Douglas demanded joint custody and refused to offer Ms Hawkins any spousal support. 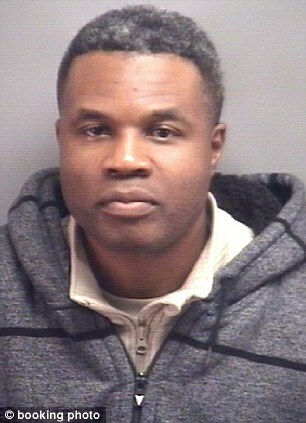 The family struggled especially when it came to paying for her training, with Ms Hawkins alone in their Virginia Beach home. ‘Gymnastics is an expensive sport,’ Ms Hawkins has said. 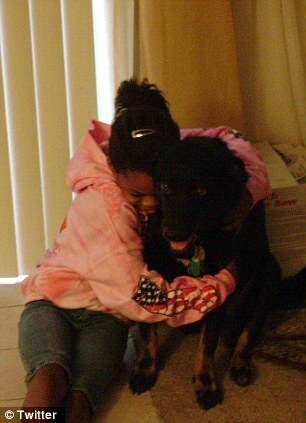 The family applied for military scholarships to help fund Gabby’s training. In 2006, she received a $500 grant from Our Military Kids, a non-profit that helps fund children’s activities while their parents are overseas. That funding paid for her to attend a gymnastics camp in Texas with renowned coaches Bela and Marta Karolyi – who helped her win the gold in London. HOW COULD GABBY MAKE HER MILLIONS? ‘In the grand scheme of things, $500 may not seem like that much money, but it made the difference between keeping Gabby at home and sending her to a camp that would play a part in molding her into the Olympic gymnast she is today,’ Ms Hawkins explained. After the camp, Gabby told her mom, Natalie Hawkins, that she wanted to move from their home in Virginia Beach, Virginia, to train with Chow, who coached Shawn Johnson in 2008. Ms Hawkins said absolutely not; there was no way she was allowing the youngest of her four children to move halfway across the country at 14. But Gabby’s two older sisters lobbied on her behalf, giving their mother a list of reasons why Gabby should be allowed to go. The only reason to stay: They would miss her. 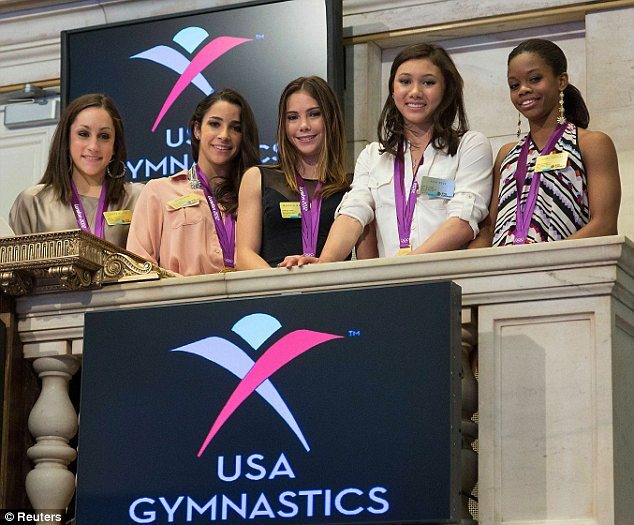 Reflecting on the journey that brought her the gold, Gabby seemed wiser than her years. ‘I just want people to know it took a lot,’ she said to Today. Gabby’s more recent bitter tone marked a change from the excitement she displayed earlier in the year after seeing her father for the first time in two years when he pitched up to the June Olympic trials to support her. Her father’s absence had haunted the teenager, who struggled to perform to the best of her abilities without her father by her side, and would often wake up with anxiety that he was at war in Iraq. While living with her coach in Iowa, she would wake up and rush to her computer and try to contact him on Skype. Earlier this year, she twisted her ankle at the Pacific Rim Championships in March. Her father’s absence and her injury caused her to contemplate quitting. ‘It was pretty drastic. 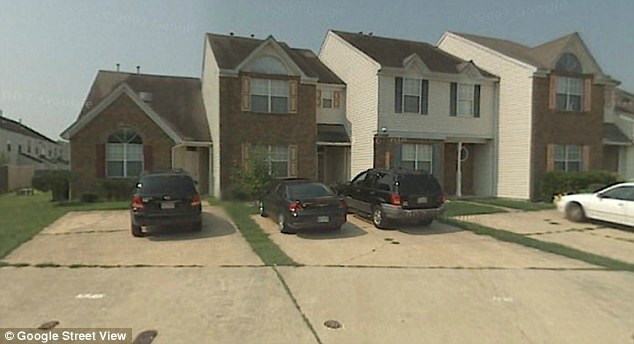 She really, really sounded very serious about it,’ said Gabby’s sister, Arielle Hawkins. She forged ahead anyway, competing with a heavy weight on her heart. Serving in the 203rd Red Horse civil engineering squadron in Afghanistan, Mr Douglas would watch YouTube videos of his daughter’s routines on the dial-up internet available in Kandahar. Watching his daughter perform in June so perfectly for the first time in real life was almost too much for the military man. For Gabby seeing her father had put the skip back in her step. 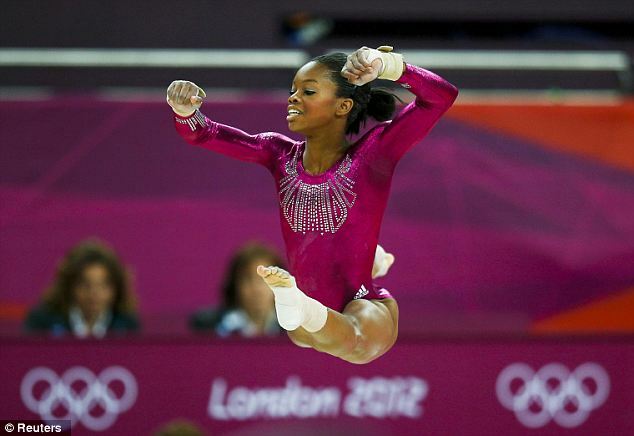 ‘Before my floor and bar routine, I was like, “OK, you’ve got to get it together,”‘ Gabby said. ‘Seeing him made my night, actually,’ Gabby said. He told the Des Moines Register that he would try to make it to London to watch his girl try for the gold, but when he went he and his family were not provided with tickets.